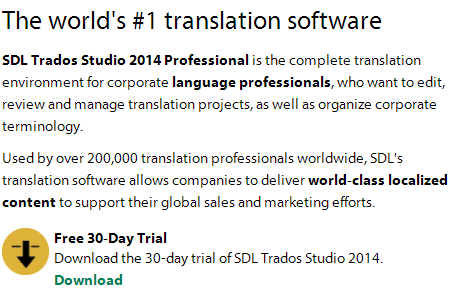 Highly-recommended CAT (Computer-assisted translation) Tool if you want your translation business to move to the next level. I just received my Award, my new Samsung GALAXY Tab S.
Thanks again SDL Trados Technologies / SDL for being so great! I pledge to continue working with the best technologies and the best professionals! Good Luck! Boa sorte! ¡Suerte!